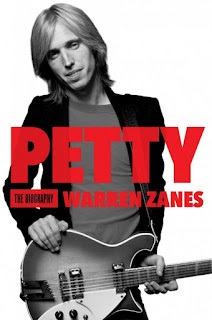 “Someone has laid all these magazines with pictures of me on my mother,” remembers Petty. “On her chest and across her body. She was just lying there, beneath these clippings from magazines and newspapers. I walk in and … it was the strangest thing. I thought, ‘Even this moment, even this someone had to corrupt with some reaction to fame, or whatever this was.” A nurse had gotten it into her mind that this would please the famous son of the hospital’s dying patient. It was a misguided gesture, innocent but stupid, that left him hollow. Asking a nurse to clear the clippings off his mother, he then took time alone with her.